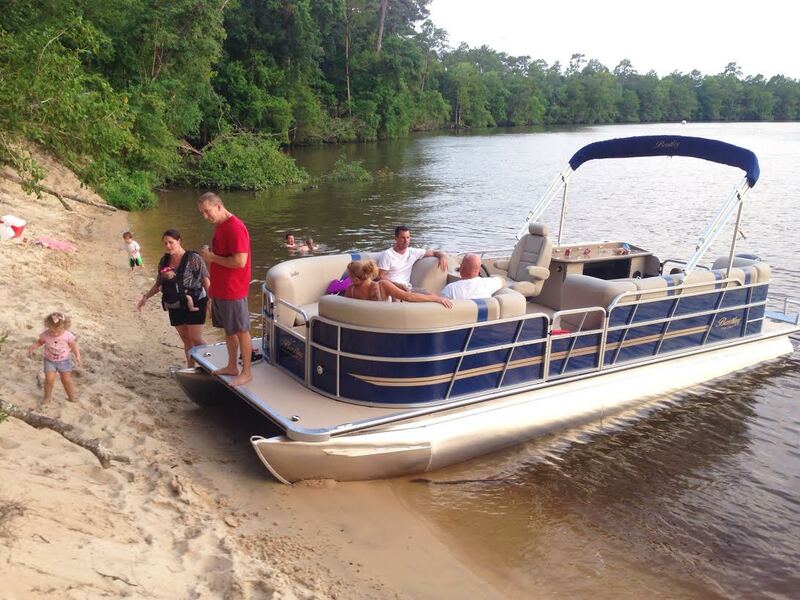 Our Bentley 250 Party Cruise has seating for up to 12 not to exceed 2200 lbs. 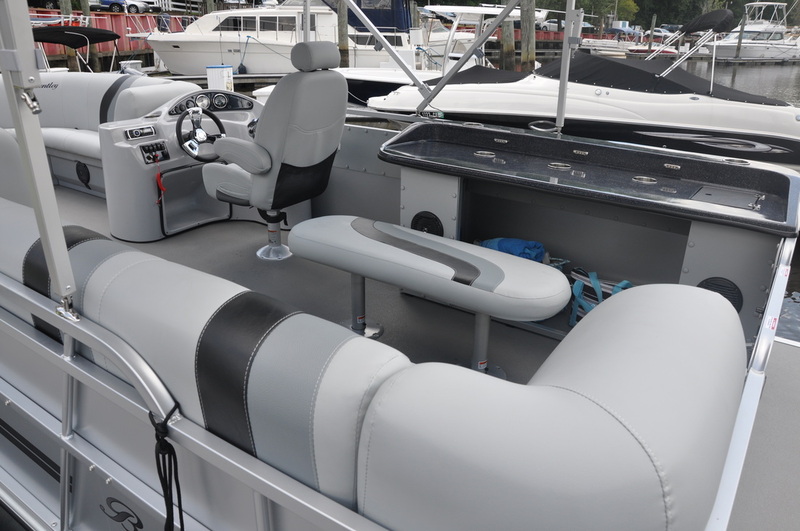 It is equipped with a Mercury 115 Command Thrust four stroke outboard. It gets great fuel economy and only requires regular fuel. Please See our Carolina Skiff or one of our Bentley fish Pontoons for the best fishing platform.